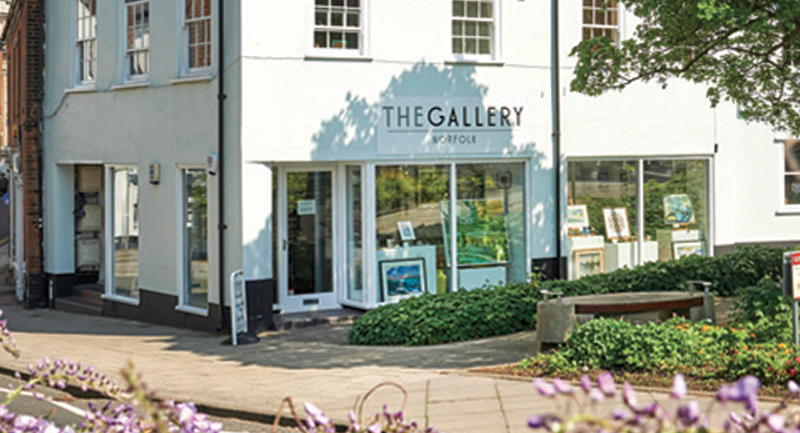 The Gallery Norfolk, based in Norwich and Cromer, is a favourite destination for high quality art with a wide range of prices, and a carefully chosen selection of handmade craft and jewellery much with an East Anglian connection. We love unusual and quirky things at The Gallery Norfolk and make a point of searching out talented artists and makers who offer something personal and special. The gallery in Cromer opened in 2012, followed by Norwich in 2016, feeling the eclectic mix of art and craft that is so popular in Cromer would work well in the city. One year on the new gallery is also making a name for great art and craft; feedback is very positive – customers frequently make comments such as “I’ve never seen so many beautiful things in one gallery”! There is a wide range of art on show, including original oils, limited edition prints, photography, ceramics, glass and sculpture. Norfolk painter Ruth Bunnewell is a firm favourite, tipped by House and Garden magazine as a rising star of British landscape painting, plus other highly regarded East Anglian painters such as Richard Dack and Molly Garnier - and the brilliant pet portrait artist Jenni Cator. We also have contemporary print makers of national renown - Andy Lovell, Paul Bommer, Chris Wormell, Hannah Firmin, Clare Cutts and Colin Moore to name but a few. Collectors come for Jill Desborough’s minotaur sculptures and fantastical puppets, and for Anya Keeley, maker of curious creatures or beautiful handmade ceramics by Daniel Reynolds, Selena Bragg and Polly Fern. The Gallery Norfolk in Cromer and Norwich also offers bespoke picture framing. We focus on helping customers to find a perfect and affordable solution for their artwork - plus customers can find inspiration by looking at the wide selection of framed art in the gallery.